On Saturday evening, in Madera, California, police came upon and recovered a stolen car while the thief quietly slipped away and avoided being arrested. That didn’t last for long, though. Within a few short minutes, a tipster called police and told them that the thief was at his home in a nearby apartment complex. 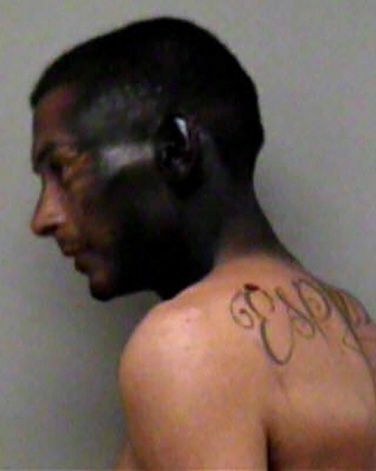 Police quickly rushed to the scene, only to find the perpetrator jumping from a rear window after spray painting his face black as a sort of camouflage. That, however, wasn’t exactly the best plan. Police then booked the man and later identified him as Jose Espinoza, 23. According to police, this was not Espinoza’s first offense. Back in January, Espinoza was arrested for stealing a woman’s purse, and just a few weeks later, he was arrested for a drug-related offense. “[When it comes to the law], he’s kind of a frequent flier,” said Sgt. Foss. This entry was posted in Culture and tagged car thief, Dan Foss, jose espinoza, police, spray paint black. Bookmark the permalink.